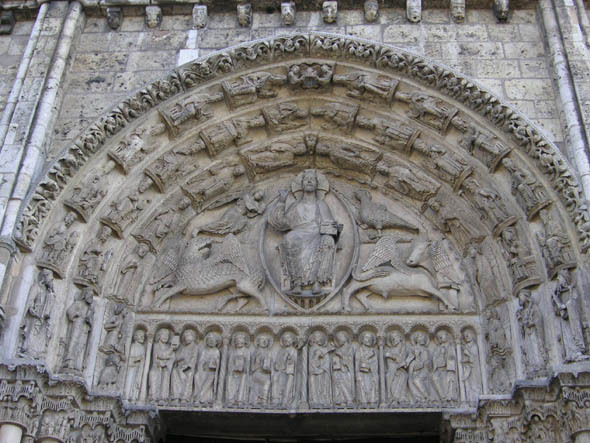 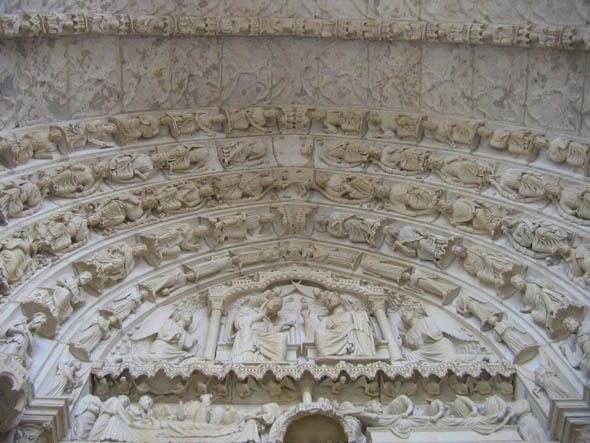 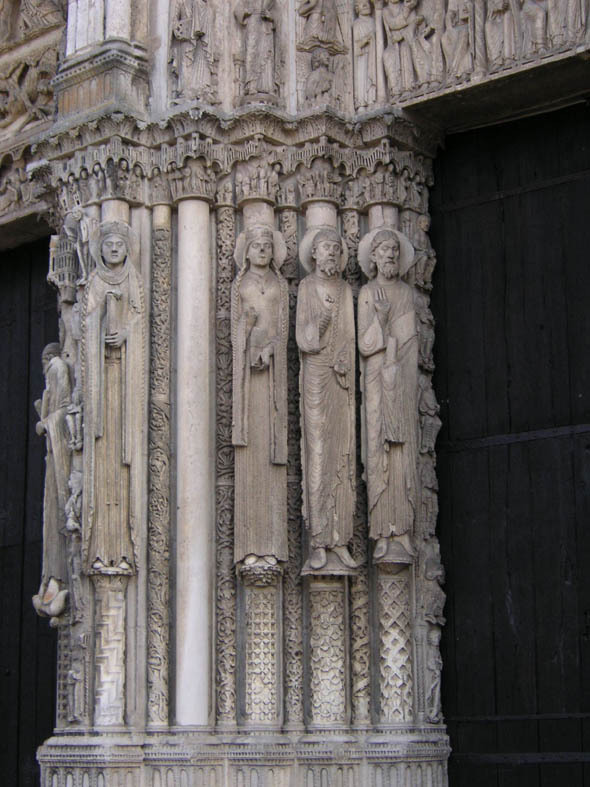 After the first cathedral of any great substance burnt down in 1020, a glorious new Romanesque basilica, which included a massive crypt, was built under the direction of Bishop Fulbert and later under the direction of Geoffroy de Lèves. 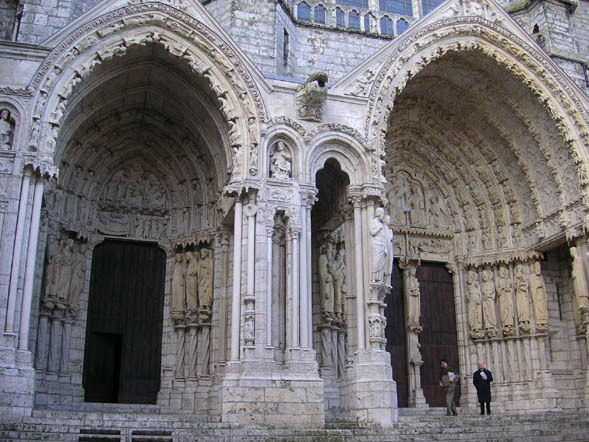 However, having survived a fire in 1134 which destroyed much of the rest of the town, disaster struck yet again in the night from the 10th to the 11th of June 1194 when lightning created a blaze that left only the west towers, the façade between them and the crypt. 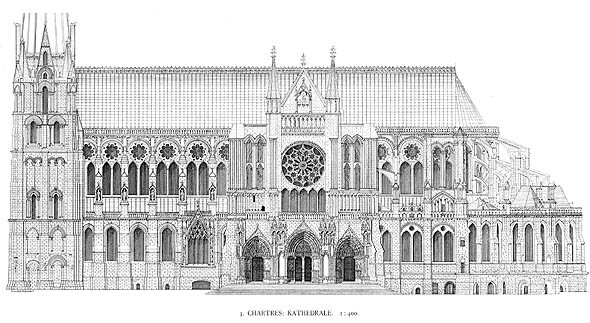 Work began first on the nave and by 1220 the main structure was complete, with the old crypt, along with the mid-12th-century Royal Portal which had also escaped the fire, incorporated into the new building. 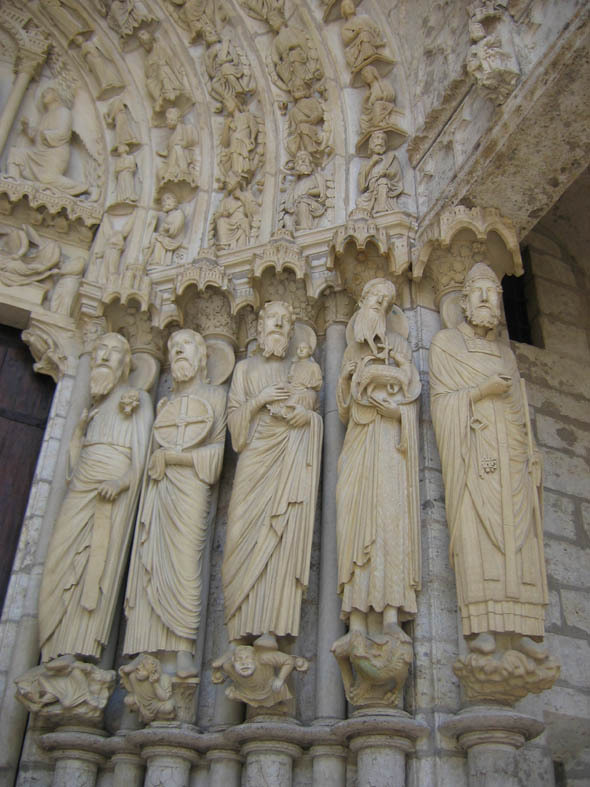 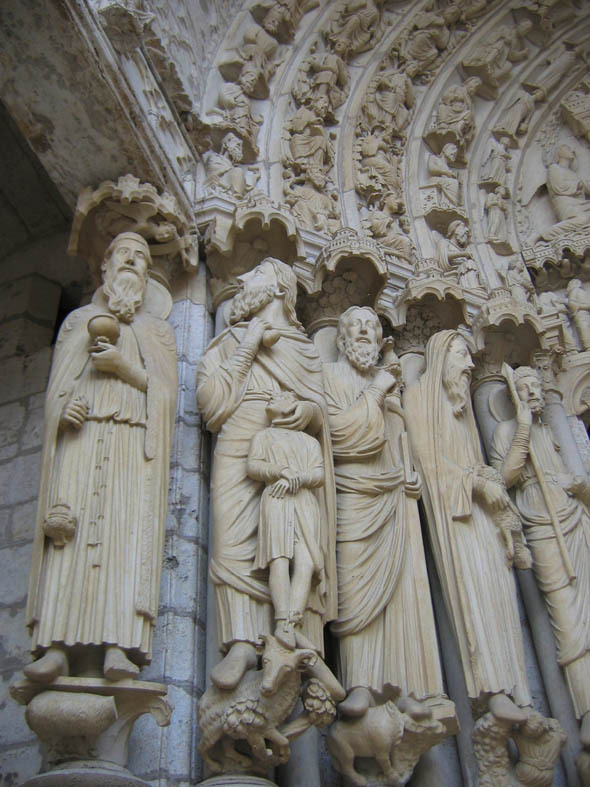 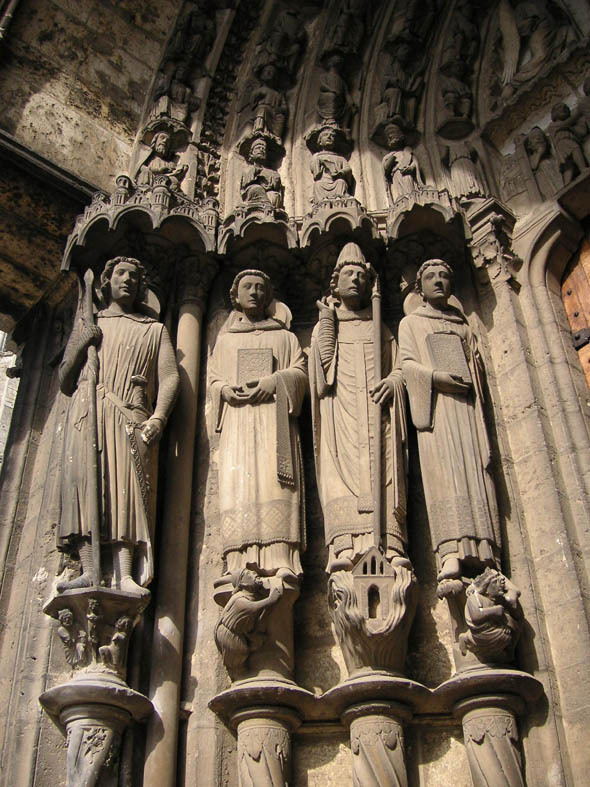 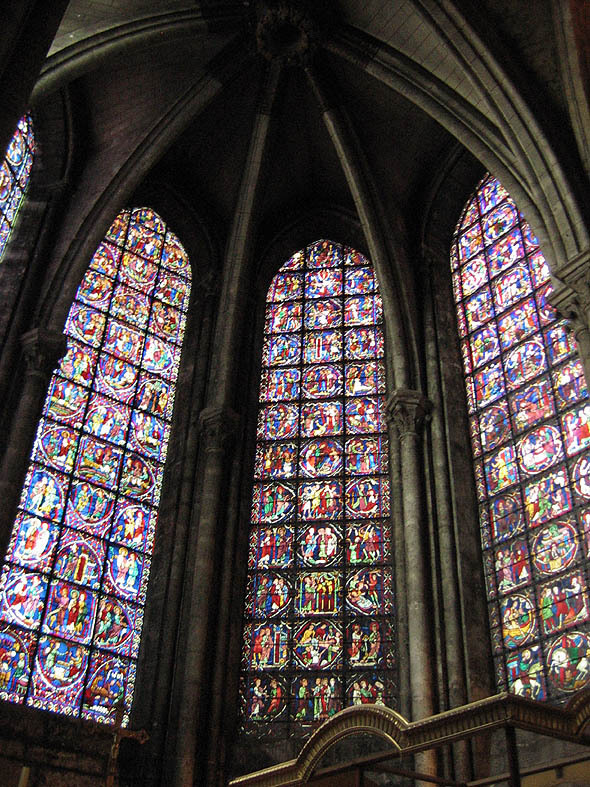 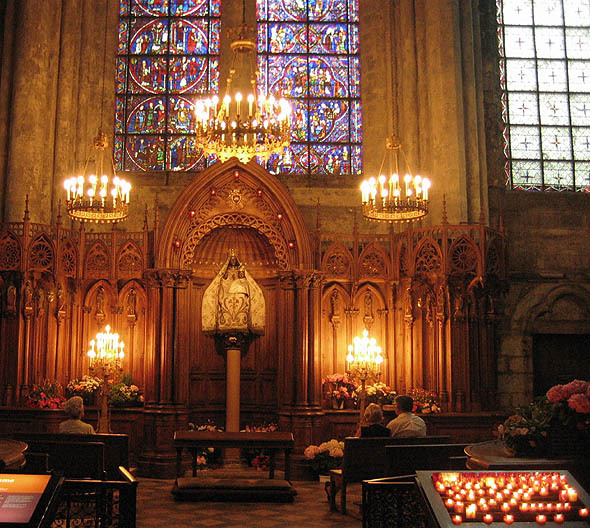 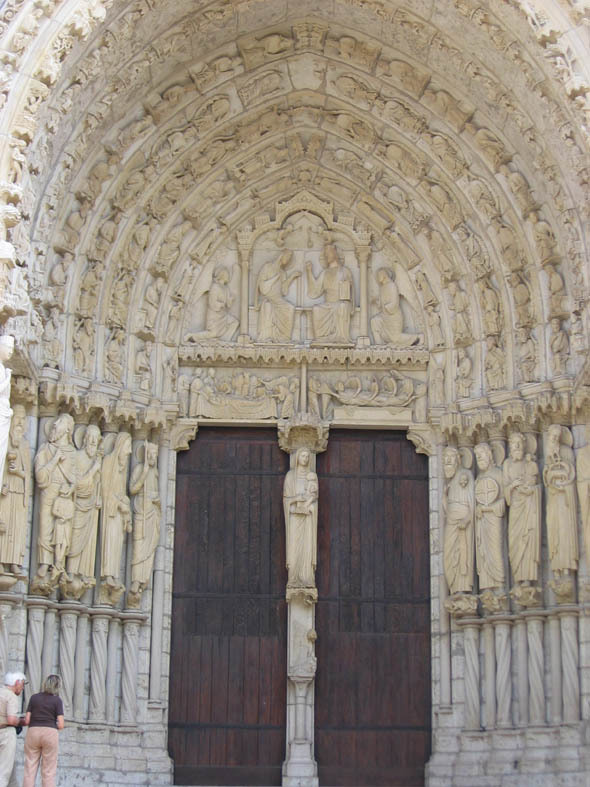 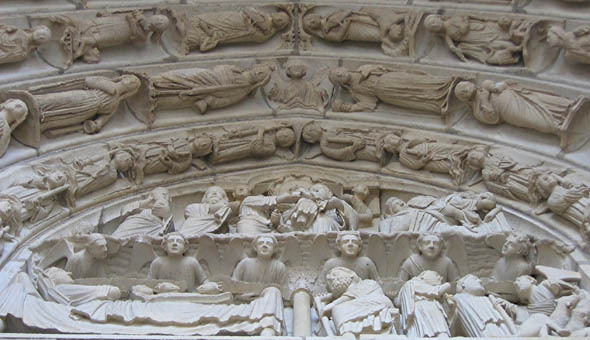 On October 24, 1260 the cathedral was finally dedicated in the presence of King Louis IX. 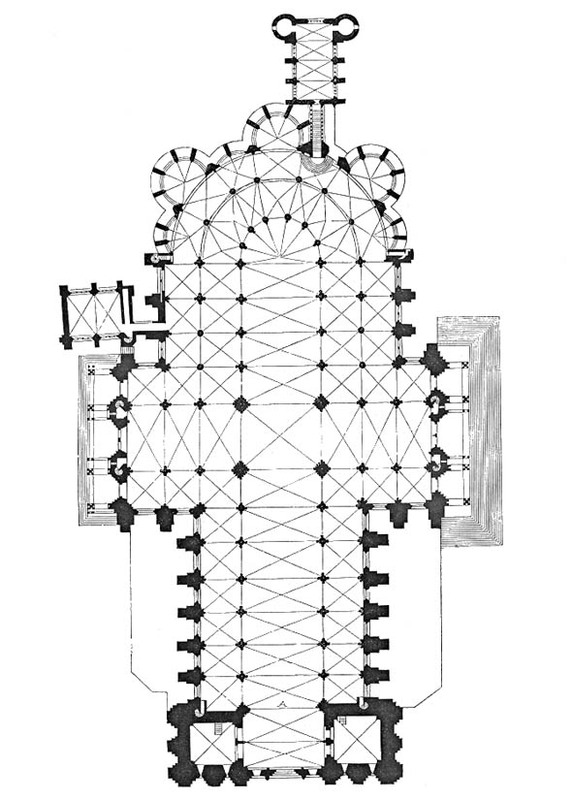 It has two contrasting spires “” one, a 349 ft plain spire dating from the 1140s, and the other a 377 ft tall early 16th century Flamboyant spire on top of an older tower “” soar upwards over the pale green roof, while all around the outside are complex flying buttresses.